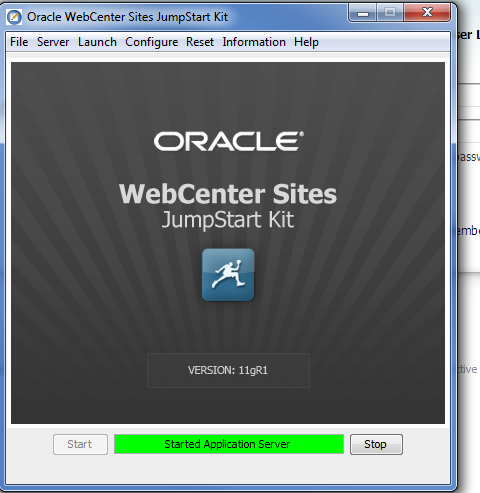 The Jump Start Kit (JSK) for WebCenter Portal is a utility that installs a fully functional version of WebCenter Portal pre-integrated with Oracle WebCenter Content, including key features enabled and preconfigured, all within a single machine instance (virtual or physical). The JSK supports Linux x86-64. It is targeted to developers or product evaluation only, and is not supported for production use. 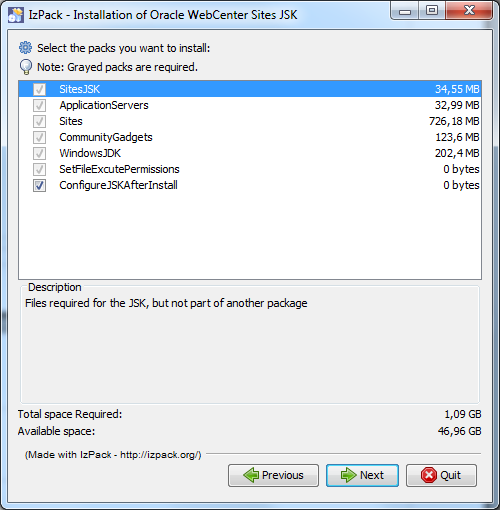 The JSK expects you to download the required software from the Oracle Technology Network. 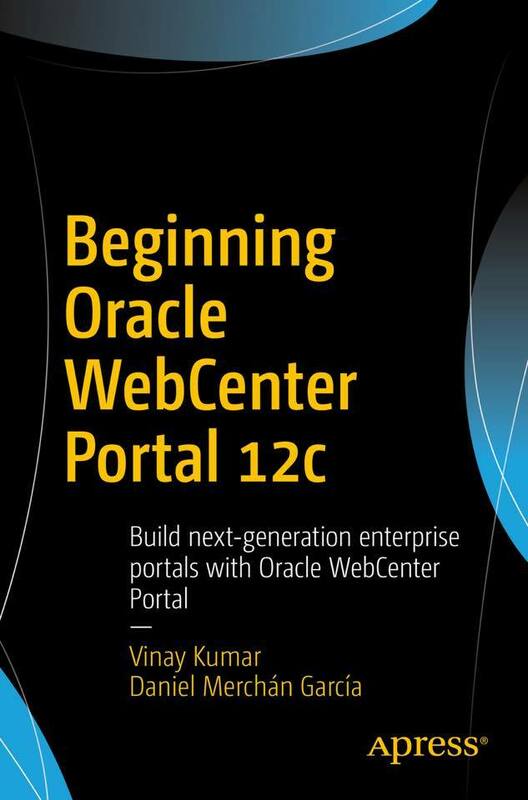 This includes the Oracle Database, Oracle WebLogic Server, WebCenter Content, WebCenter Portal, Oracle HTTP Server, as well as Oracle Fusion Middleware utilities (see exact list with links below). It then installs and configures each of these to interoperate with each other. 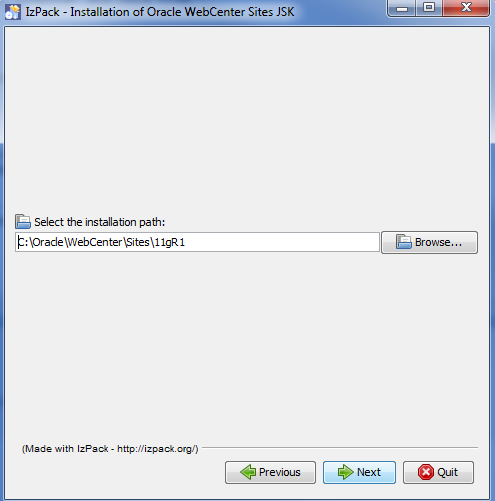 The JSK then configures WebCenter Content and WebCenter Portal integration points such as Inbound Refinery, and configures several WebCenter Portal features, the pagelet producer, blogs, wikis, and lists. You do not have to interact with the JSK installer during this process. Total run time depends on the speed of the machine being installed to, but tends to take between 1.5 to 2 hours. The JSK portal is targeted for developer-only non-production use because of several assumptions made about the topology, including running all services on one machine. 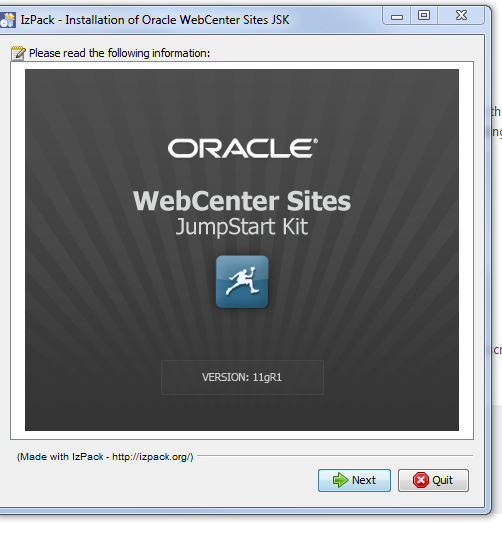 JSK for WebCenter Portal is a utility that installs a fully functional version of WebCenter Portal pre-integrated with Oracle WebCenter Content, including key features enabled and preconfigured, all within a single machine instance (virtual or physical). The JSK supports Linux x86-64. It also includes a series of templates, examples, and lesson guides to walk you through a series of typical use cases. It is targeted to developers only, and is not supported for production use. 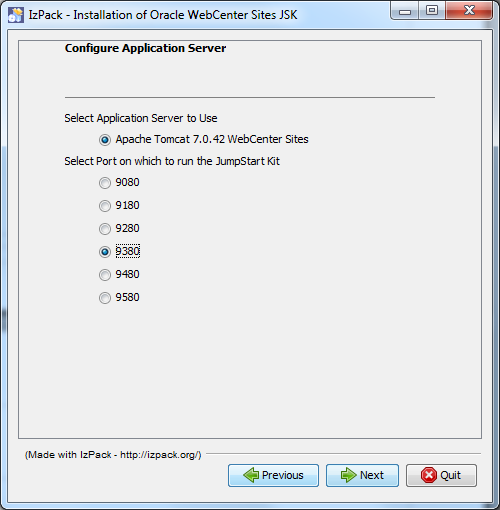 The JSK expects you to download the required software from the Oracle Technology Network. 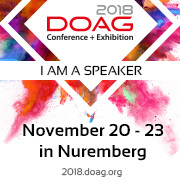 This includes the Oracle Database, Oracle WebLogic Server, WebCenter Content, WebCenter Portal, Oracle HTTP Server, as well as Fusion Middleware utilities and the Repository Creation Utility (see exact list with links below). It then installs and configures each of these to interoperate with each other, and secures them all with SAML SSO. The JSK then configures WebCenter Content and WebCenter Portal integration points such as Inbound Refinery, and configures several WebCenter Portal features, including personalization services, the pagelet producer, blogs, wikis, and lists. 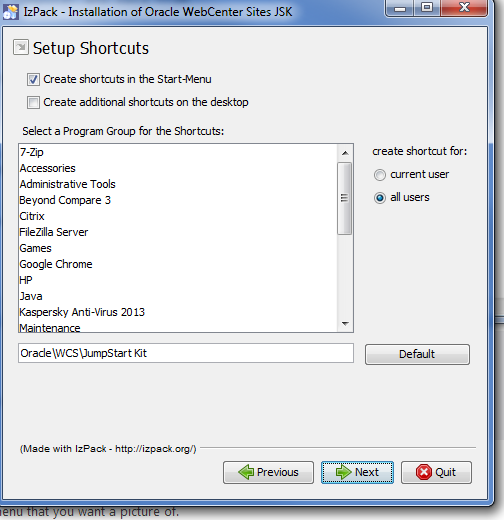 Finally it installs and configures the AviTrust sample application along with several sample applications and portals designed to guide new users through Portal’s features.The JSK portal is targeted for developer-only non-production use because of several assumptions made about the topology, including running all services on one machine, as well as selecting easier to configure but slower services, such as LiveSearch in place of Oracle Secure Enterprise Search. Select the port number for running WCS. Select Application server without Sample Site.If you want to check sample site.Use first options. Provide the path for installation of sites. 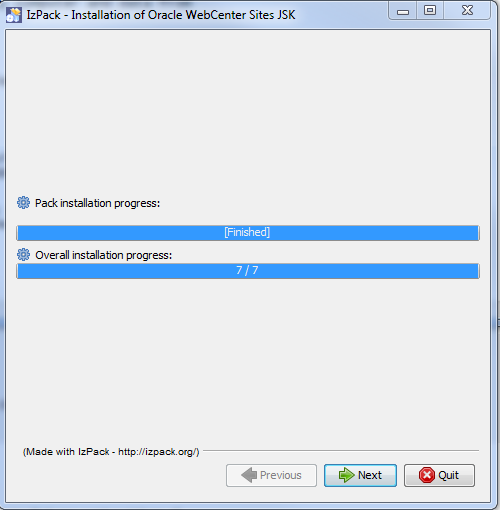 Click Next and Installation will start.After succcessful installation, installer will display a “Finished” message when the installation is complete. hit the URL i.e. 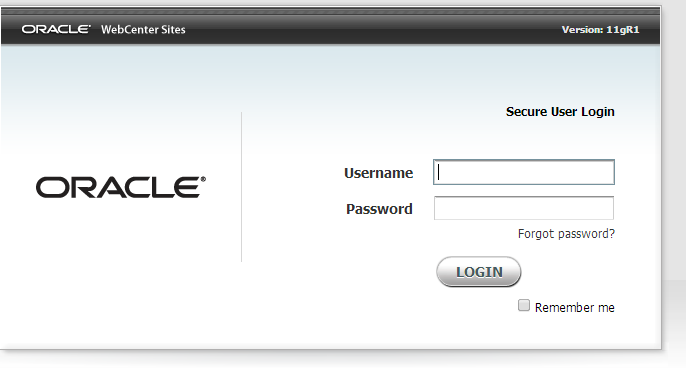 http://localhost:9080/cs/ , Enter the credential with default ID as fwadmin and pwd as xceladmin. Happy Learning with Vinay kumar in techartifact….